PharmaTech CJSC is a wholly overseas owned pharmaceutical manufacturing company based in Yerevan, Republic of Armenia. It specializes mainly in the production of large volume intravenous solutions and eye drops. The scope of work also includes the development, manufacture and distribution of pharmaceutical products. 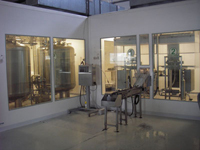 PharmaTech factory building is one of the most advanced of its kind in this region. The installation of the European Modular Equipment was carried out, in accordance with GMP standards by IPM of France. PharmaTech CJSC is managed in association with Cambridge Pharmaceuticals of London. Production started in June 1998. Today it produces 64 different Intravenous solutions of various types and volumes, as well as 5 different eye drops the production of which started in March, 2005. The capacity of 3 million bags per year is well in excess of the requirements of Armenia and many products are already registered and distributed in Russia, Georgia and Turkmenistan. PharmaTech has also clean room facilities for packaging of solid dosage forms. Packaging under license of branded products of Apotex (Canada) started in 2000. 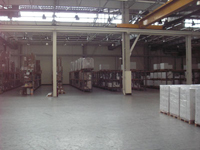 The factory also includes highly equipped, ambient and temperature controlled warehousing system occupying 7.500 m2. 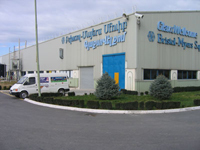 GlaxoSmithKline, Schering Plough and Novartis are represented by PharmaTech in Armenia and the consignment stock of their products is kept at the plant warehouses. The stock is used to service the requirements in the Caucasus region in general. 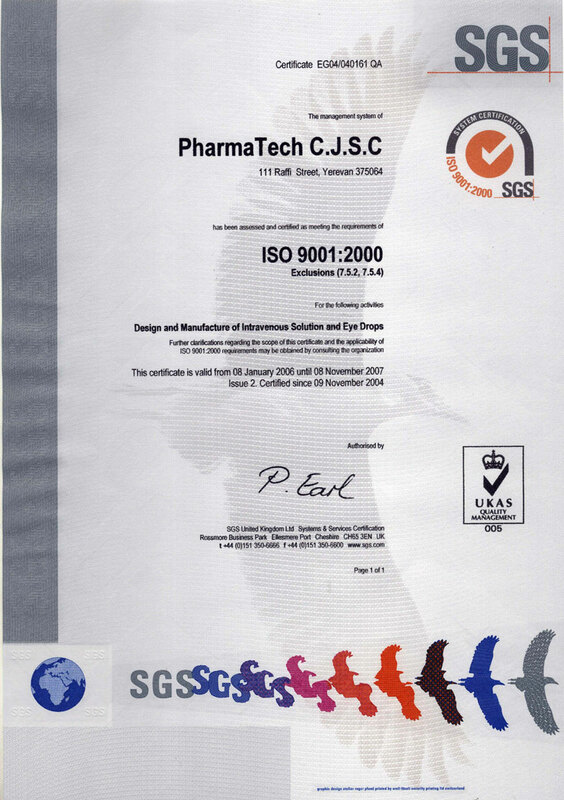 PharmaTech CJSC was the first pharmaceutical company in Armenia ISO9002:1994 system certified in November 23, 2000 by Quality Management Institute QMI (certificate number N011553-ISO). Starting from November 9, 2004 PharmaTech CJSC quality system is GMP and ISO system certified for the design and manufacture of intravenous solutions (certificate numbers GMP/LE2004/002 and EG04/040161QA ). 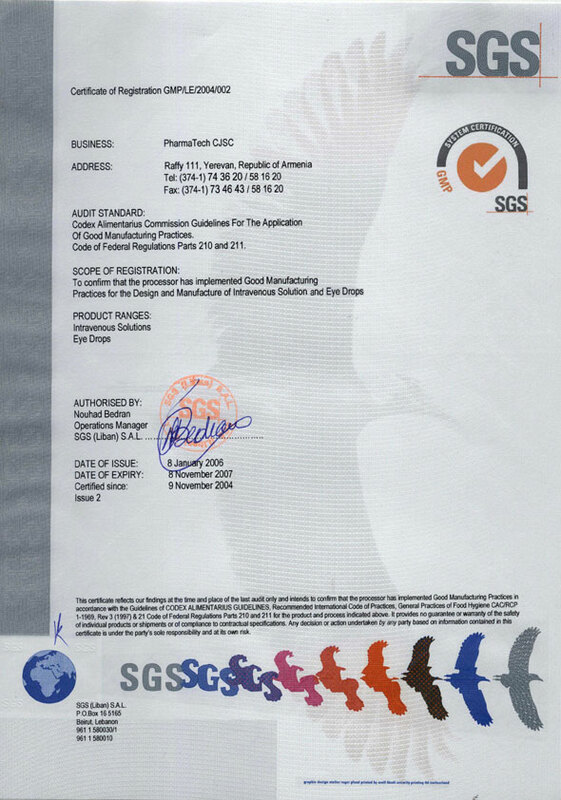 The certification has been carried out by Swiss certification company SGS.